Newnham Dental is rated 5 out of 5 based on 7 ratings with Google. 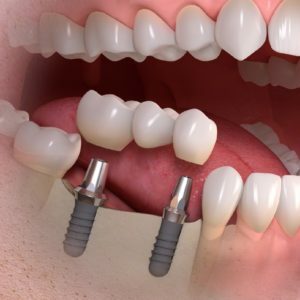 Dental implants offer you a permanent solution to replace missing teeth. 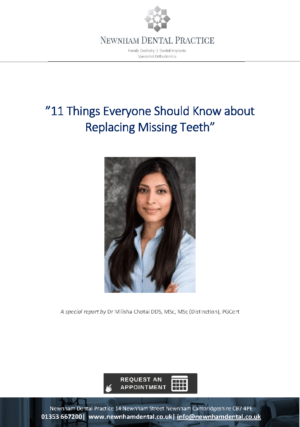 Are you looking for your perfect smile? What the procedure might be for you. 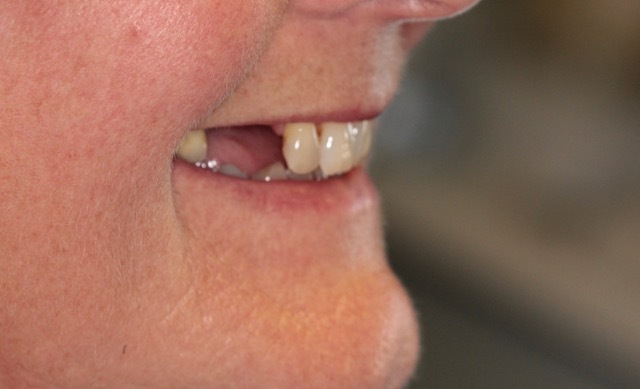 What can be achieved with dental implants? What's wrong with a conventional bridge? 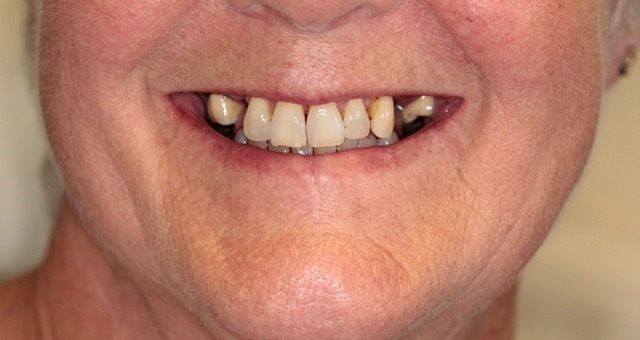 Two implants can replace three teeth with an implant supported bridge. Below is a photo of a conventional bridge. 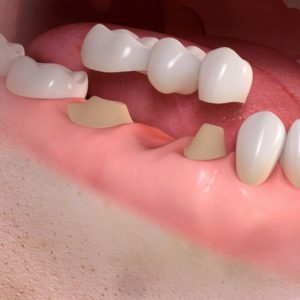 Teeth are usually cut to make space for a bridge construction that sits on top of the teeth. For a larger gap, it is too risky and invasive to use your own teeth. Especially if your own teeth are intact. 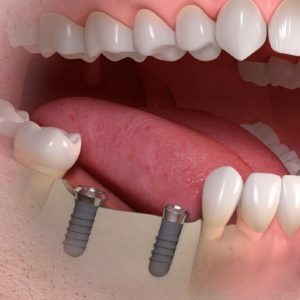 For this reason dental implants are often the best solution. 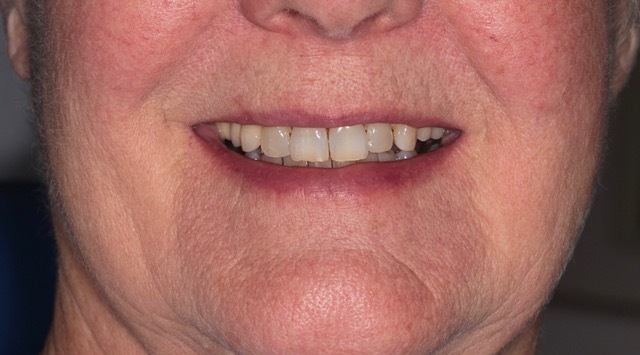 The final result looks, feels and functions just like normal teeth. NOTE: the below here is an illustration, your restoration will not be see through. Two implants are placed. Both of these are made of high grade titanium which fuses with our own bone. At Newnham Dental we only use high quality swiss manufactured straumann implants. These implants are acid coated which speeds up healing and enhances integration of the implant with the surrounding bone. 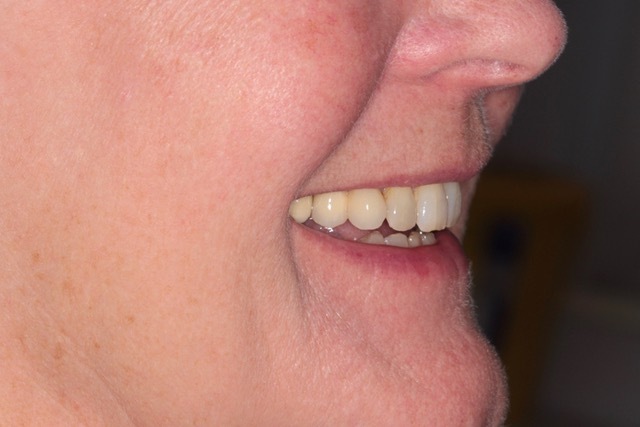 Multiple bridges can be constructed for patients that have many missing teeth. Once the implants have fused with the bone, a custom made construction is made by a dental technician. This is made to fit onto the implant abutments which are also made of titanium. 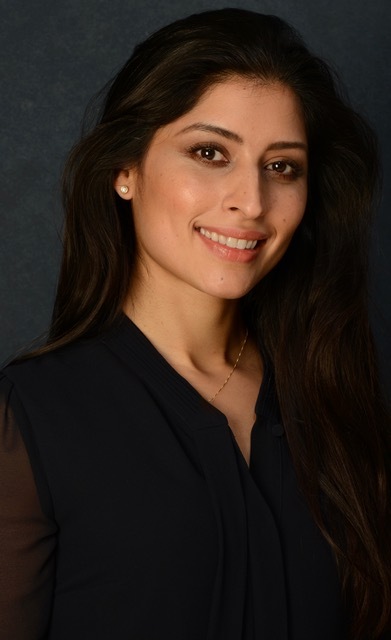 “I love providing and supporting my patients through dental implant treatments. I have seen patients regain confidence, and the ability to chew. as patients become more motivated.